MANILA, Philippines — The country’s foreign exchange buffer rose for the fifth straight month with the gross international reserves (GIR) level hitting its highest level in 29 months, the Bangko Sentral ng Pilipinas reported yesterday. BSP Governor Benjamin Diokno said the GIR level stood at $83.19 billion as of end March, $418 million higher than the end February level of $82.78 billion. This was the highest level in 29 months or since hitting $85.11 billion in October 2016. “The GIR level rose due mainly to inflows arising from the national government’s net foreign currency deposits, BSP’s foreign exchange operations and income from its investments abroad,” Diokno said. According to BSP data, earnings from foreign investments reached $71.02 billion in March from $70.37 billion a month ago. However, Diokno said the increase in reserves was tempered partially by payments made by the government for servicing its foreign exchange obligations as well as revaluation losses from the BSP’s gold holdings. The central bank’s gold holdings slipped by 1.8 percent to $8.21 billion from $8.36 billion due to the decrease in the price of gold in the international market. The BSP chief said the end March GIR level serves as an ample external liquidity buffer and was equivalent to 7.3 months’ worth of imports of goods and payments of services and primary income. He said the buffer is also equivalent to five times the country’s short-term external debt based on original maturity and 3.4 times based on residual maturity. 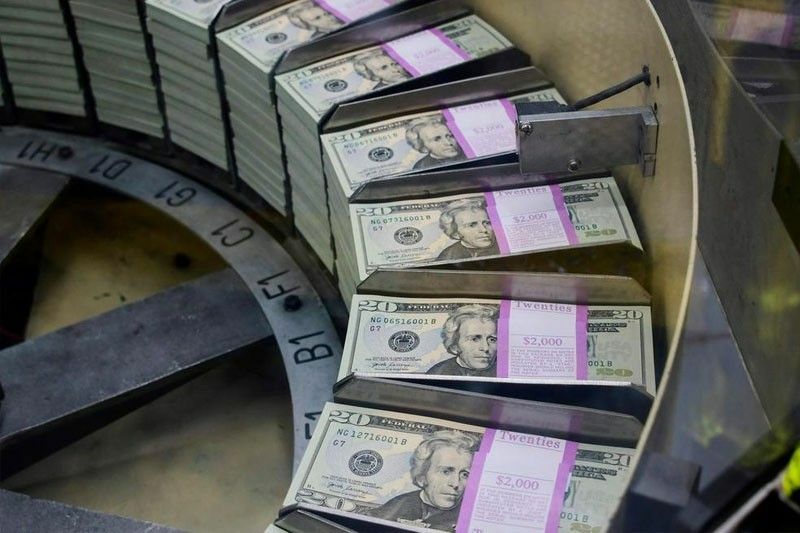 The government tapped the offshore debt market to raise $1.5 billion through the issuance of 10-year global bonds to provide budgetary support for the government. The GIR is the sum of all foreign exchange flowing into the country. It serves as buffer to ensure that the Philippines would not run out of foreign exchange that it could use to pay for imported goods and services, or maturing obligations in case of external shocks. The BSP expects the GIR level to hit $77 billion this year, equivalent to 6.3 months’ worth of imports of goods and payments of services and primary income. The central bank has been building up the country’s forex buffer since November last year. It uses the buffer to buy or sell dollars if it deems necessary to prevent sharp depreciation or appreciation of the peso against the dollar. Last year, the BSP allowed the moderate and gradual depreciation of the peso against the dollar as part of its mandate to smoothen the volatility in the foreign exchange market and to support the expanding economy.